The theme of guilt ties in to the theme of forgiveness. Many characters struggle with forgiveness in the novel. Levi is hurting and blaming Darla’s father. He cannot move on. He was there as the mill exploded but could not save the men. He feels guilty. One of the reasons that he holds onto unforgiveness is because if he forgave others then he would also have to forgive himself. Lukas is in charge of the mill now. The fire put a strain on his childhood friendship with Darla. He needs to deal with the past because the future is calling. 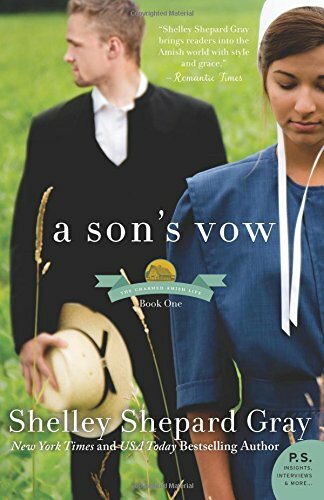 Shelley Shepard Gray presents a wonderful study of these characters and many more within the novel. The reader feels the sense of community with the Amish. It is a hurting community but it is one that wants to pull together and not be fractured. There is a huge sense of belonging within the novel. Hannah lost her boyfriend Paul in the fire. She grieved but then wants to move on. She has a job as a nanny to an Englischer couple. Shelley Shepard Gray demonstrates how the Amish and Englisch communities exist side by side. It is wonderful to watch the interchanges. I always enjoy novels by Shelley Shepard Gray and am looking forward to reading the subsequent books in the series.